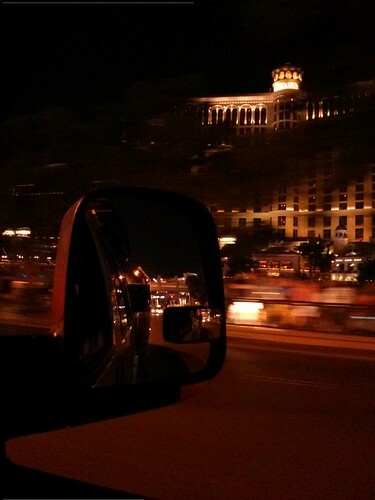 Mali Mish – Days 49-53: Las Vegas, Nevada. 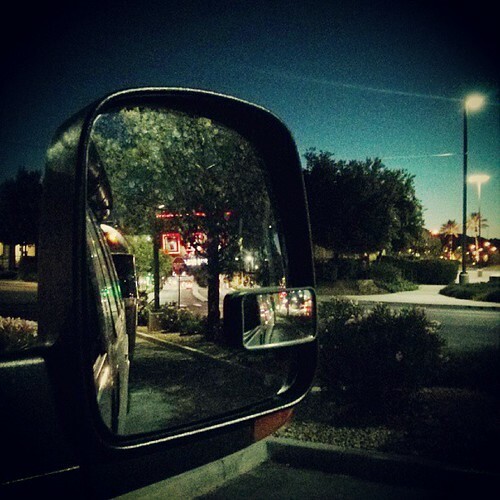 Days 49-53: Las Vegas, Nevada. We left Zion after dark and made the 150 mile drive to Las Vegas for a night of boondocking before checking into one of its many cheap, full-hookup RV parks for a few days while we take things a little slower before heading back to Southern California for a friend’s wedding. 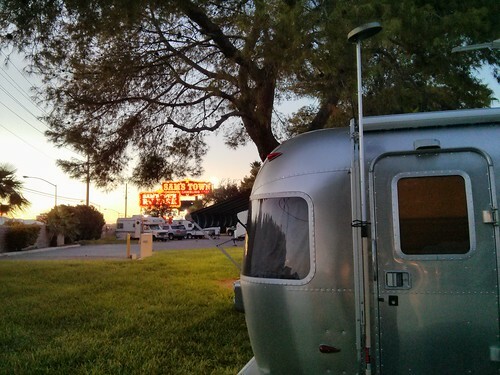 There are a handful of places to boondock in Las Vegas. 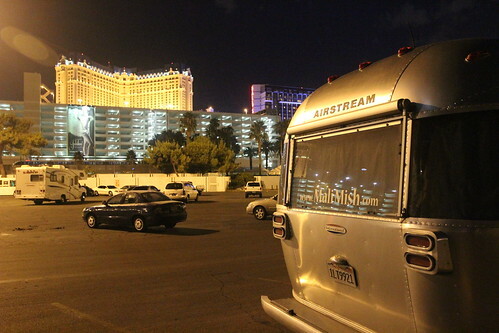 With as many casinos as there are, only a couple of them offer overnight parking for RVs. We have often camped at the side parking lot of the Orleans Casino but this time, we opted to be just off the strip behind Bally’s. It is not a real glamorous spot as many tour buses and big rigs are also here. If you are just passing through for the night and wanted to spend some time walking around the strip, this is a pretty good spot. 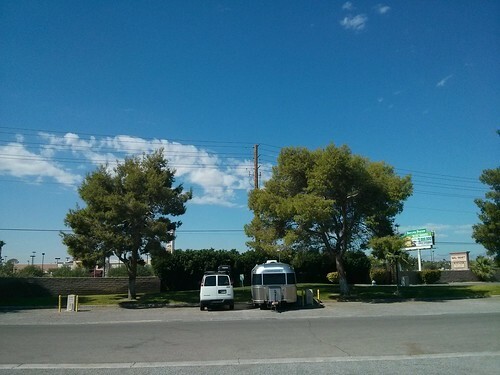 The next day, we drove over the Sam’s Town RV Park and got a full hookup site for a few nights. This is our first full hookup site since we left Bozeman and we needed it. 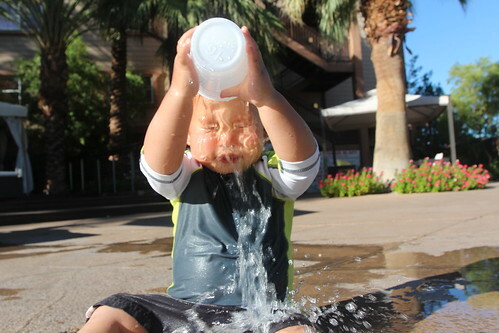 It is hot here in Las Vegas so we plan on running the AC for most of the days. We pretty much switched right into Vegas mode the moment we got here. 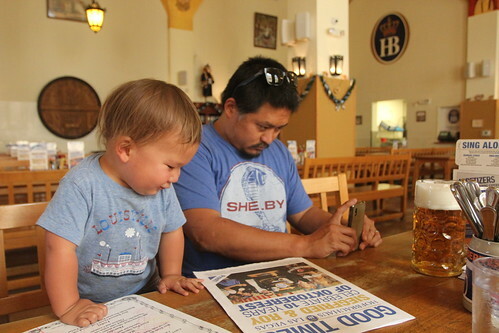 Instead of hiking, exploring and learning, we just eat, eat and eat some more. 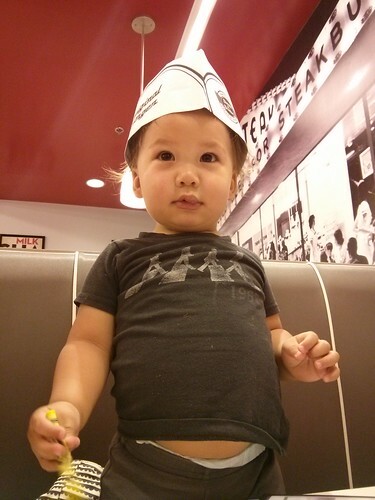 This is Luka’s second time at a Steak N Shake but first time big enough to eat anything here. We also went to more buffets than we could count. There are lots of awesome buffets in town but even more mediocre ones at ridiculously cheap prices. For breakfast, we hit up a few of them for only $4.99 per person. 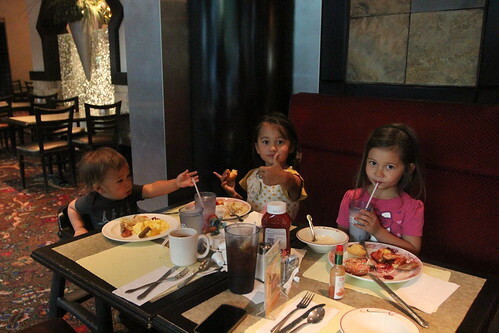 With Luka being free, that means all five of us eat for about $20. We’d spend more money eating fast food. 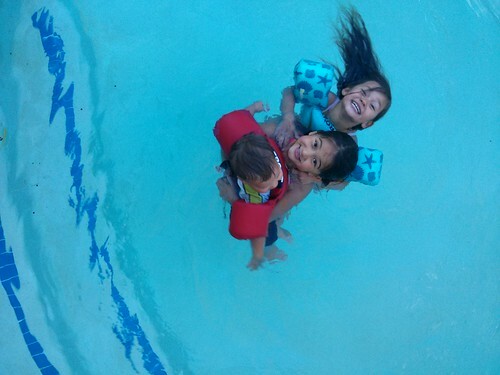 Warm weather also means swimming. This is the girls’ favorite thing to do. They have been askied by many people where their favorite place to visit is after seeing most of the country. It is a little embarrassing that they say Las Vegas 9 times out of 10. Do you think Luka has had a little too many trips to the buffet? 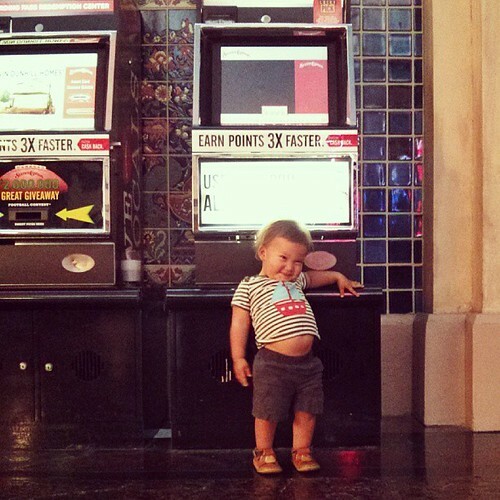 He is having trouble keeping that belly in his shirt. Our stay in Vegas does not involve a whole lot of exploring. When we are not eating and swimming, we are inside enjoying our rare full hook up site either working or watching TV. Along the route we also missed a lot of great places but we will make sure to eventually go back for them. We are making our way back to California to attend a friend’s wedding for a week but will be shortly departing to attend the 2013 Albuquerque Balloon Fiesta. 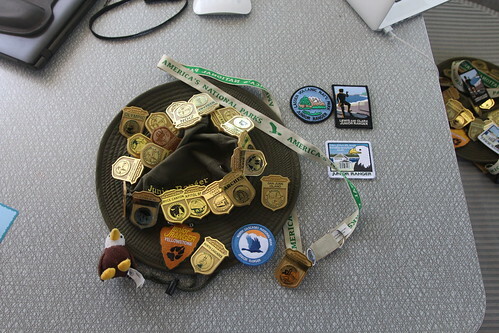 After learning how to repack bearings from Josh’s accident in Yellowstone, I also bought all of the parts needed to repack my own bearings while we are here. It is a really handy skill to have as an Airstream owner and when I have some extra time, I will write a post with step-by-step instructions of what I learned. As we checked out of Sam’s Town to begin our way drive back towards Los Angeles, we stopped at Costco and got new tires for the Airstream. We got new tires in Cedar City in 2012 and have driven across to the east coast and back and now up to Canada and back again. 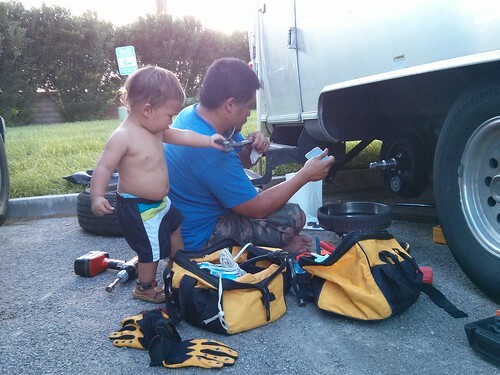 Instead of replacing them with standard trailer tires, we decided to try Michelin LTX light truck tires instead. Because they are not the recommended tires from the manufacturer, Costco will only install them if I bring the wheels in. It’s a bit of a hassle but I just run each axle up 3 leveling blocks and remove two wheels at a time and got it done. So far they are running great. I will give a long term report once I have more miles on them. We decided to go for one more swim before we hit the road for the long drive. 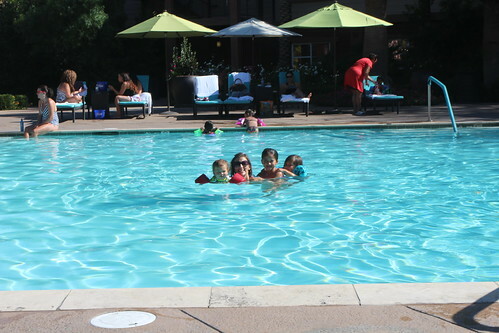 The girls have always loved the pool at the Silverton Casino not for any particuar reason except that we have been known to stay entire weeks there during the summer for their cheap midweek room rates. 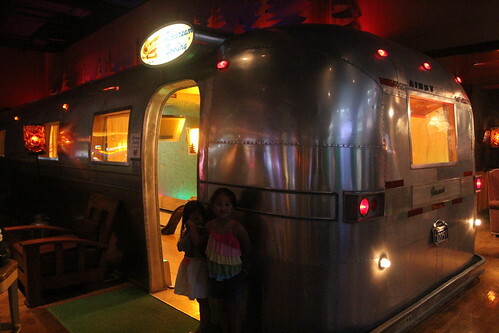 Of course they also have the coolest bowling alley in all of Las Vegas made of a custom Airstream. We finally wrapped up our summer trip to Canada as we started to make our way back in the evening. Next up, Balloon Fiesta in Albuquerque! An Introductory Guide to Boondocking. 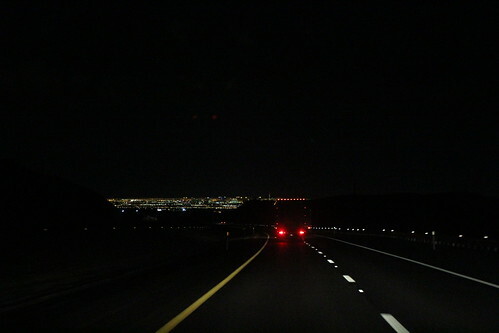 5 Responses to Days 49-53: Las Vegas, Nevada. You’ll like the Michelin LTXs, I think. Mine are going on six years old and well over 30,000 miles, and still look new. Not one puncture, tread separation, or other problem. Tread is still deep. It seems a shame, but they’ll need to be replaced this fall just for age. Otherwise they look good for many more years. I am loving them so far. I have probably 3-5,000 miles on them so far and like yours, I am seeing no noticeable wear. I have not thought much about my trailer tires since I got them which is not something I can say about my previous sets. I don’t believe I will be wearing them out before the rubber goes bad on them either but I will try. I am looking forward to your instructions on repacking the bearings. I have paid for this service at Jackson Center for the past four years and am getting to the point where I need to man up and do the job myself. I was just in Jackson Center this morning dropping off my Airstream to address a leak below my shower. That should be cheap. Well at least they do good work. Chris from Airstrean says hello. I think you are his favorite Dan.